SQE Business Cards - Pure Black, Inc. 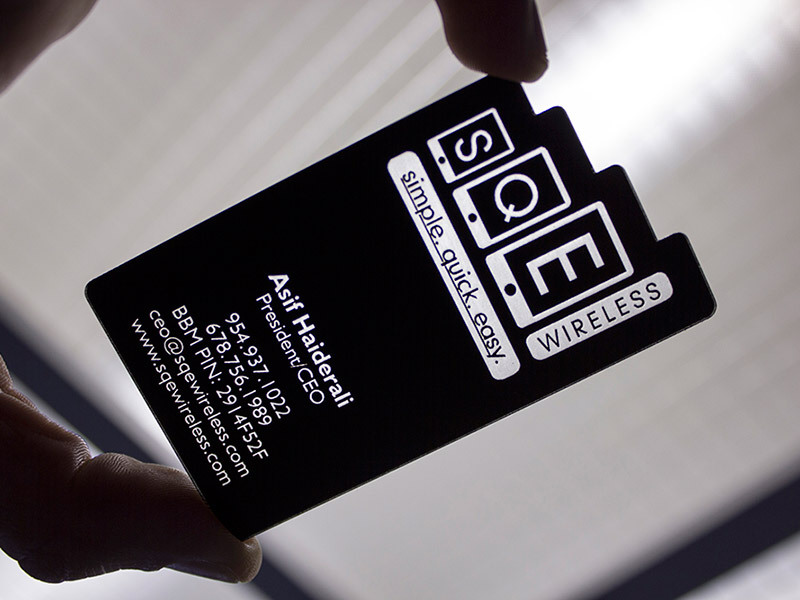 These classy and modern business cards for my friend Asif’s company, SQE Wireless, go hand in hand with the look and feel of current mobile devices. Laser cut stair step edge and engraved on a 1/32″ black/clear acrylic.